Is Time Speeding Up, Or Are We Being Prepared? I’ve been saying for years that I feel as though time is speeding up. I remember, as a very young child, excited to go on an outing with my grandparents, feeling as though that ‘magic hour’ when we would be leaving, would never arrive. I also remember my grandmother telling me, “Don’t be in any hurry to grow up. Time speeds up as you get older. Before you know it, years will fly by like weeks.” I’ve always remembered her words and I try to take her advice into consideration when contemplating the idea of time literally speeding up. But, I still can’t wrap my head around what feels to me as ‘lost time.’ I feel as though I am somehow being cheated out of my time here on Earth. I look around and I see people my age who don’t appear to look in their mid 40’s. And, when looking at old photos of my parents, and how much older they looked at my age. I have to wonder if time is really speeding up and causing us not to age as rapidly as our parents did? But, in reality the appearance of aging could be due to environmental factors. Our lives may not be anywhere near as difficult as our forefathers lives were. 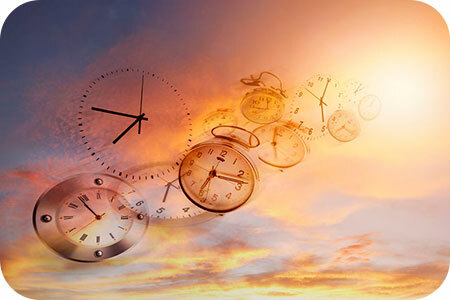 In the current cycle of human existence, we are considered to have existed primarily through the 3rd and 4th dimensions of physicality in time. 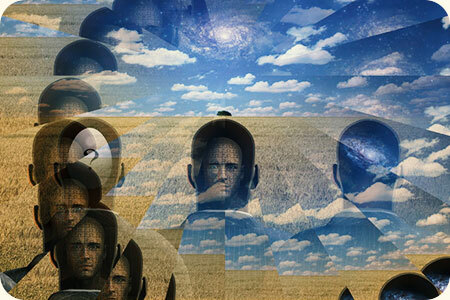 Recently, talk of Mother Earth and her inhabitants moving from the 3rd to 5th dimension has become a big topic in the field of metaphysics and spirituality, and many consider this shift to be occurring right now. The 5th dimension can be defined as “heart consciousness” with the 6th being… “oneness with source”… or the miracle space. It is that place of true peace within the 5D-6D space where there is a dramatic increase in an individual’s power of creating and manifesting their reality. In the 5D-6D realm of consciousness, one can connect to your etheric body, higher self and God source, in the form of intuitive energy through the extra-sensory pathways of clairvoyance, clairsentience, clairaudience, claircognizance, and the other psychic senses. Do You Also Remember Atlantis? In one such other time, I was an Atlantean. 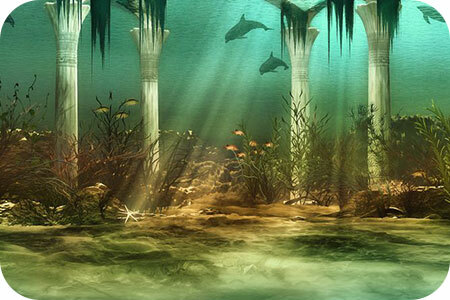 I have met many Atlanteans on my path in this life. Are you one of them? I remember being always dressed in white, like everyone else there (just like I do now as Kundalini Yoga instructor). White is cleansing and represents purity. More importantly, white deflects negative energy. Black absorbs it. I have noticed, as technology began to evolve more in recent years, especially since 2000, that I became more nervous, because I remember how technology destroyed Atlantis. Technology is meant to be a good thing, but how it used is a potential danger. Tarot card symbolism is rich with many layers of meaning. The card images are designed to awaken a reader’s intuition and psychic abilities. If used correctly, they can predict events and offer guidance in our spiritual and manifest worlds. 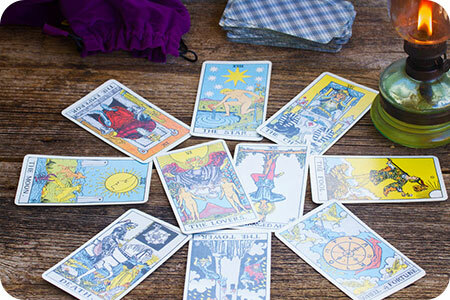 Each card depicts situations we all have or will encounter in our lives at one time or another. But understanding the general meanings of each card is only one layer of understanding. One of the most significant deeper layers of Tarot interpretation is the astrological meanings inherent in each card. Astrology helps us to understand many different things about a person’s psychological makeup and personality, as well as events and timing. Combined with the Tarot it becomes a powerful divination tool. 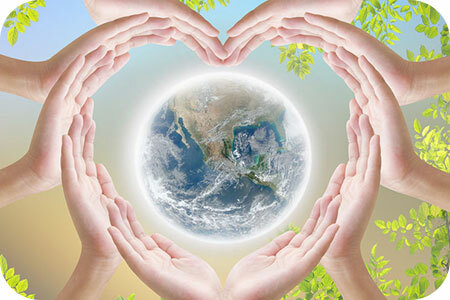 In ancient times, untouched by technology, humanity was exceedingly close to all of creation. In the earliest spiritual traditions people universally believed in elementals and nature spirits, which today is known as animist religion. 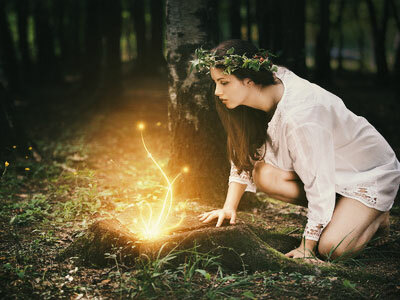 Although modern society has for the most part lost touch with these ancient beliefs, they remain very much relevant in neo-paganism, new age spirituality, the occult and modern mysticism. Nature spirits, including elementals, are believed to be various types of beings or spirits which inhabit nature. Nature spirits abide in trees, flowers, and all other plants, as well as oceans, rivers, lakes, mountains, and minerals. They exist in many forms, and many of them have a human appearance. They are believed to exist as the life force in all living things, as well as the planets, and stars.